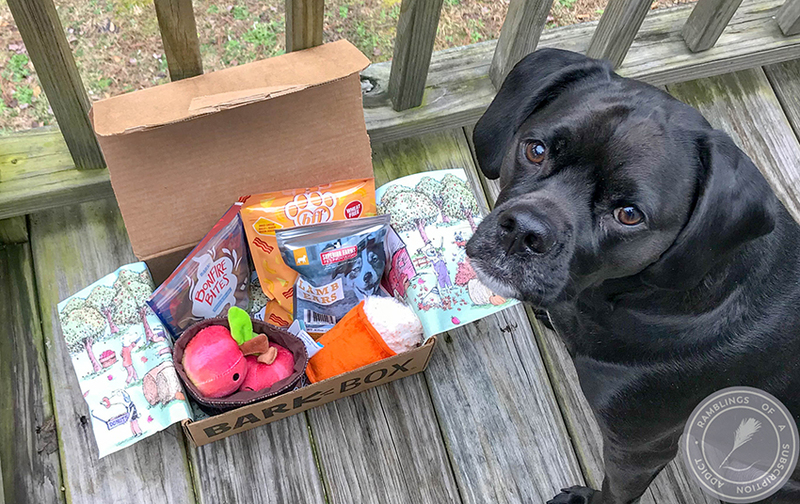 Pretty & Polished Beauty Box - October 2016 + Coupon! 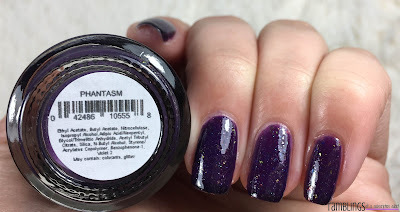 Guys, I was so excited to see what Pretty and Polished would bring for Halloween after the bloody polish from last year. An extra includes a Mani Melt in S'More or Candy Corn (mine is the latter and is so good), a discount code, and candy! There's S'More to Life - A creamy white crelly base with black, bronze, and gold large and small hex glitters. 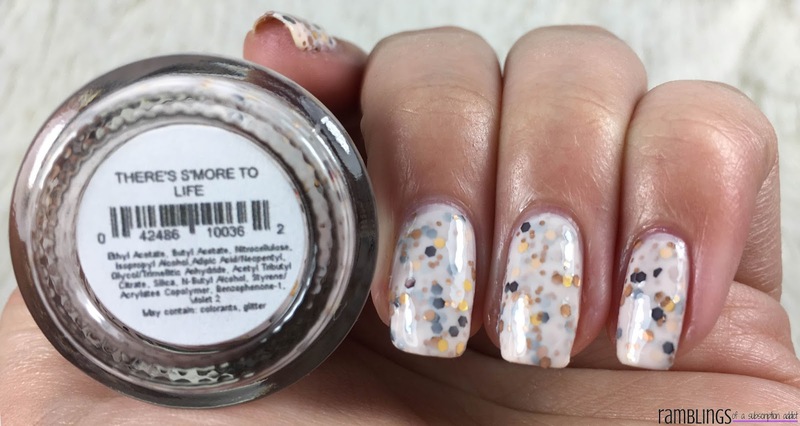 This is a polish that's been brought back for this box, and I love that! It reminds me exactly of a s'more, with the toasted bits of marshmallow, chocolate, and graham crackers. And now, I'm really hungry for some s'mores. 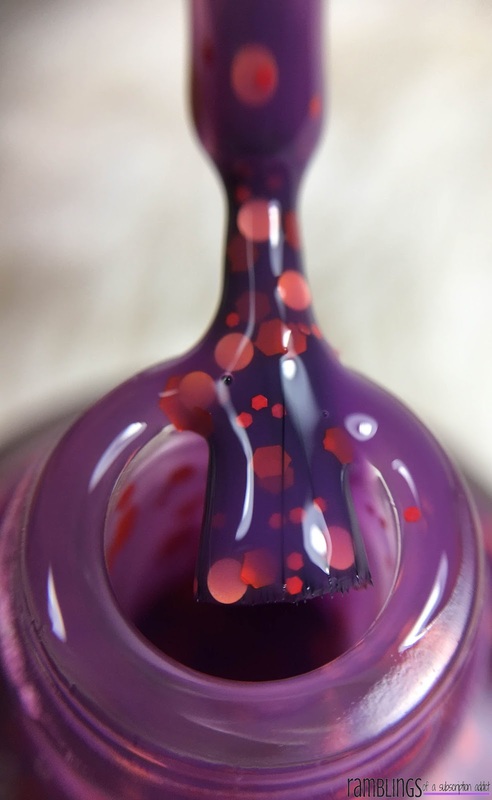 I used three coats which made it opaque. 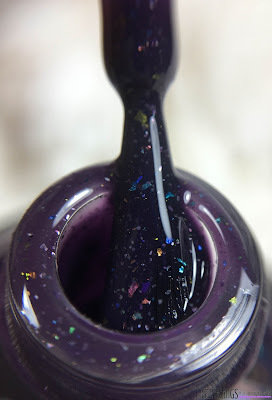 Just look at how great this polish is glossy, but I think it's better matte. 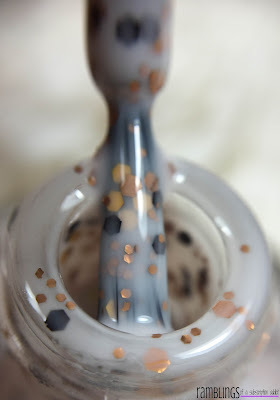 While this gorgeous polish looks wonderful, it will take a good top coat to smooth it. 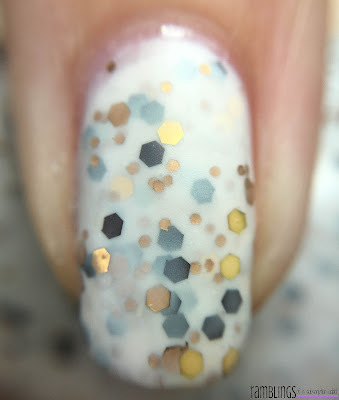 I used two coats to smooth it, only due to the glitters. 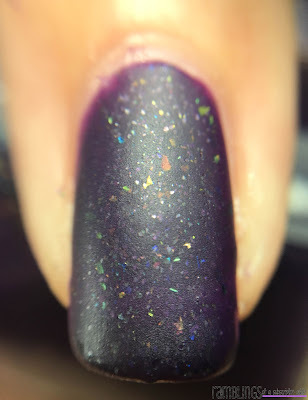 The matte definitely shows more of the depth when the shine is lost, I love it! 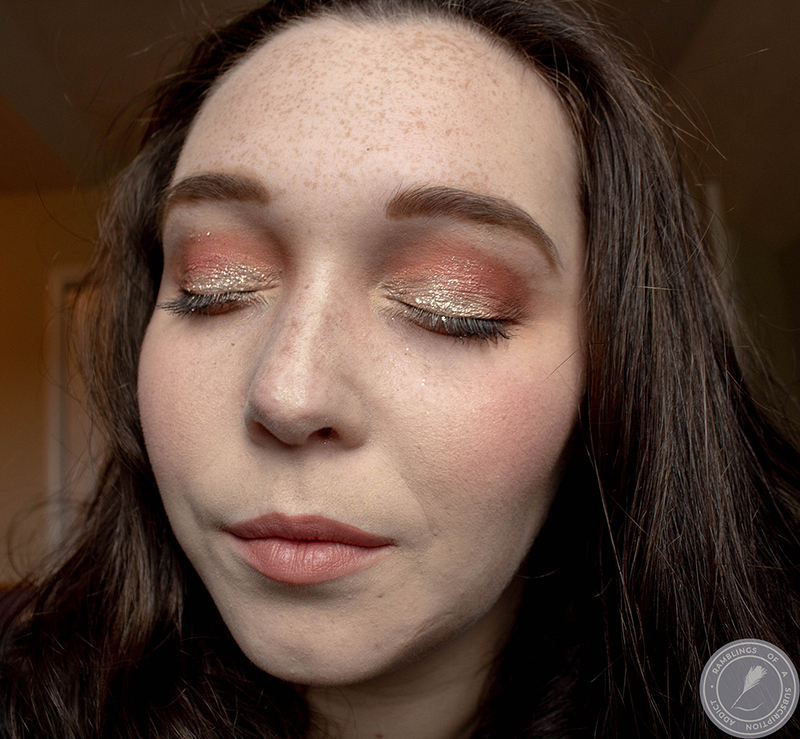 There was no fishing to get these glitters out, they just come out perfectly. 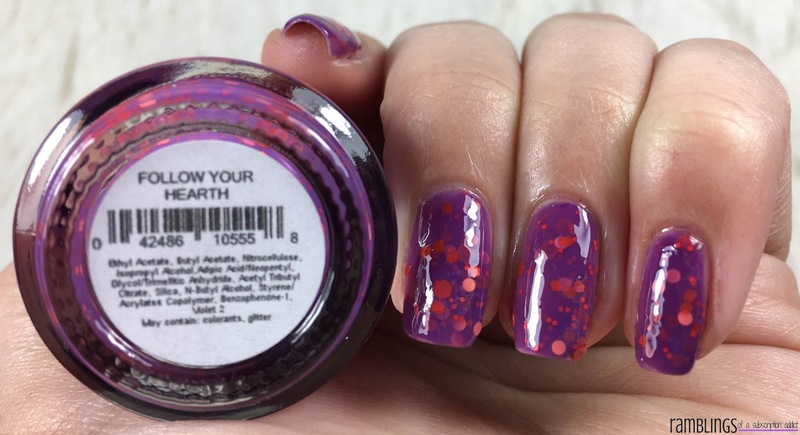 Follow Your Hearth - A purple jelly with red large, medium, and small hex glitters and coral round glitters. I used three coats in this manicure, but it isn't opaque. Due to being a jelly, it does make it difficult to be opaque without a base. It could create an amazing jelly pond manicure, just add a decal! 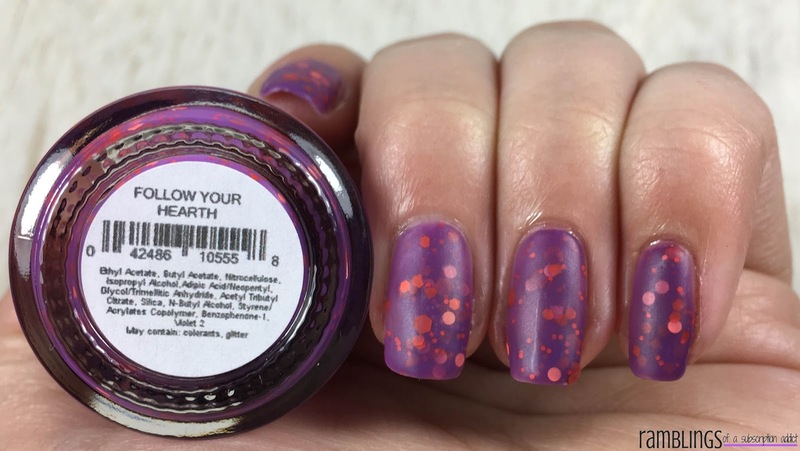 This polish is lovely, but definitely not my cup of tea. 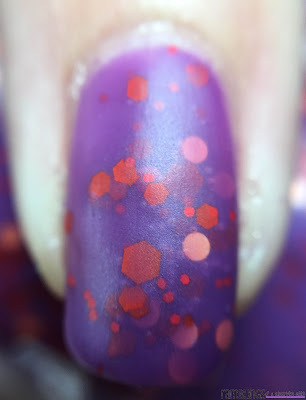 I would have preferred some blue glitters rather than the red, but that's my opinion. Again, this is a glitter bomb so there is a need for a good top coat to smooth it out. 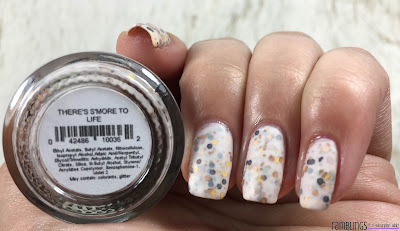 Just like with There's S'More to Life, no fishing required to get these glitters out. 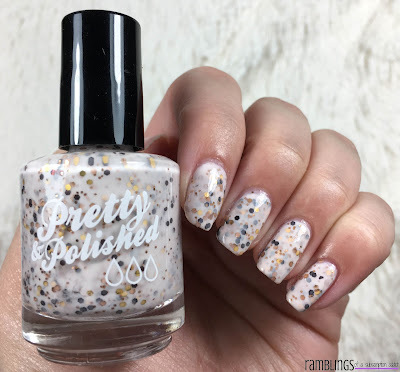 I'm not sure what base P&P uses, but I love it! 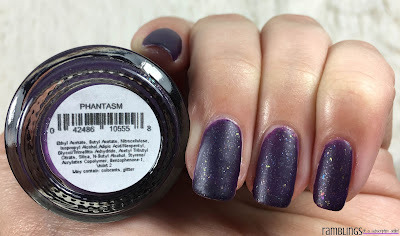 Phantasm - A thermal polish with deep purple to purple-black base with the most gorgeous holographic flecks. This polish does have a jelly-like base, but was easy to become opaque in three coats. The entire manicure is in transition. 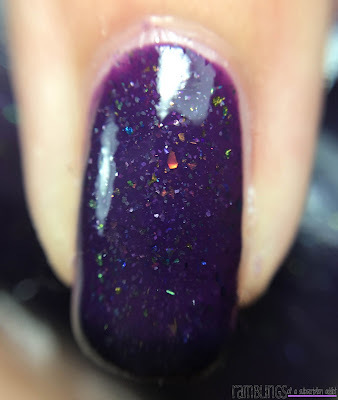 The polish changed perfectly, but I was running a slight fever and couldn't keep the cold state long enough to show off just how deep the purple/black becomes. 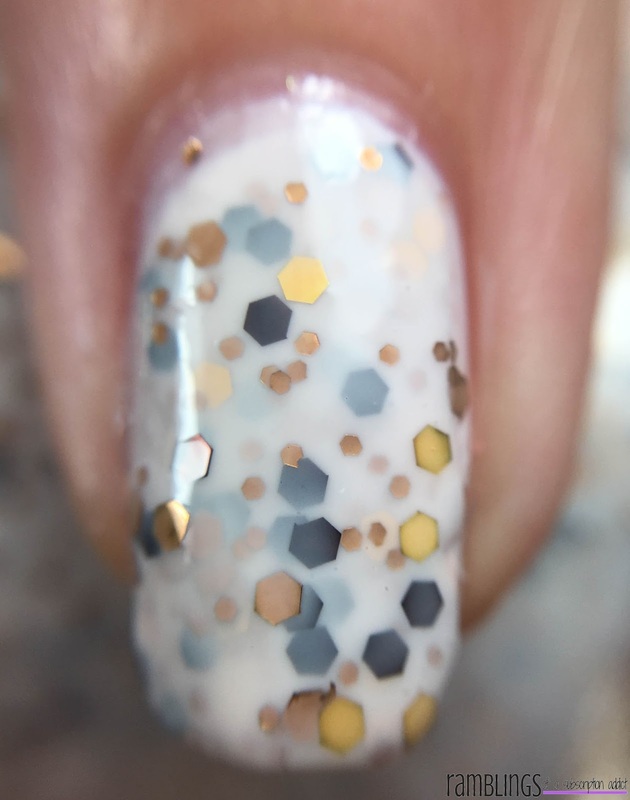 You can see it on my nail tips, and it will happen for you! 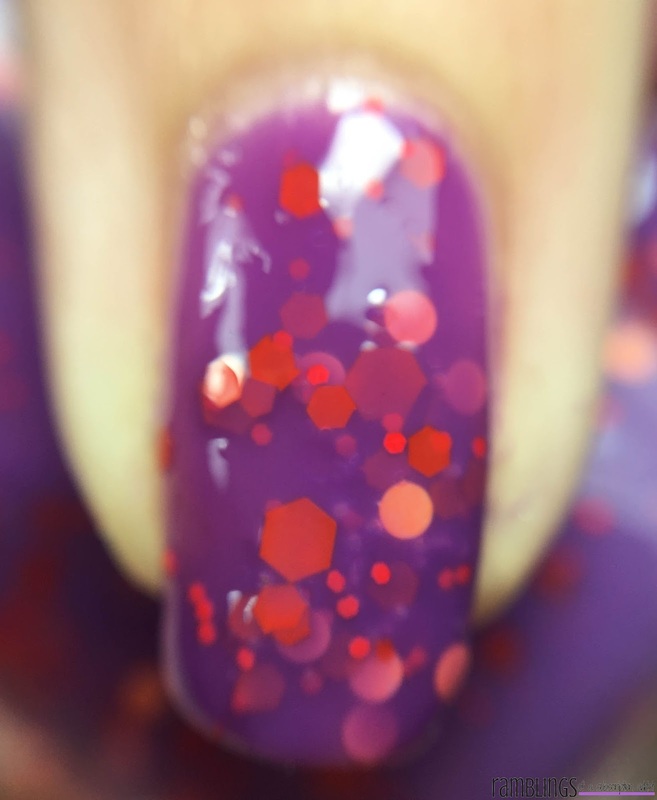 The transition is much more evident matte, and look at it!! No roughness here, it applied smoothly and didn't need a top coat to smooth it. 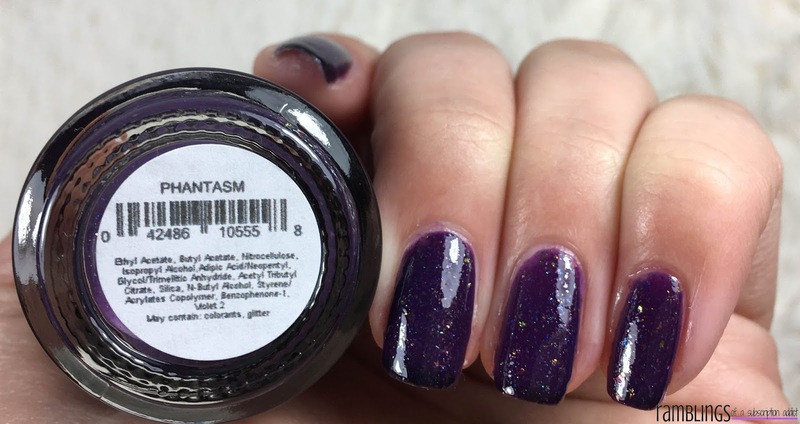 I feel like Phantasm could create some awesome nail art with a black polish and watch it transition all day long. I might work on this, so keep an eye out! 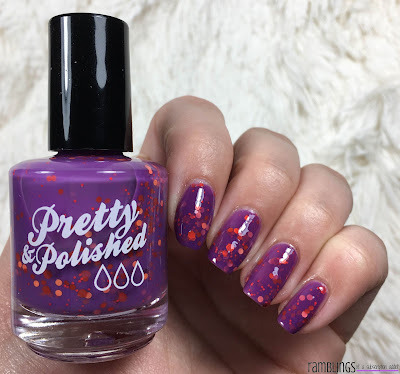 I really like the polishes from the October box. 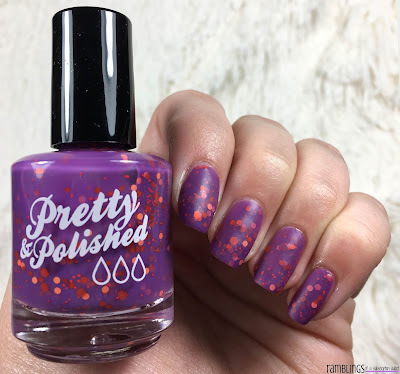 They all have something different to present and I love it when they bring back old polishes for those of us to experience the second time around! 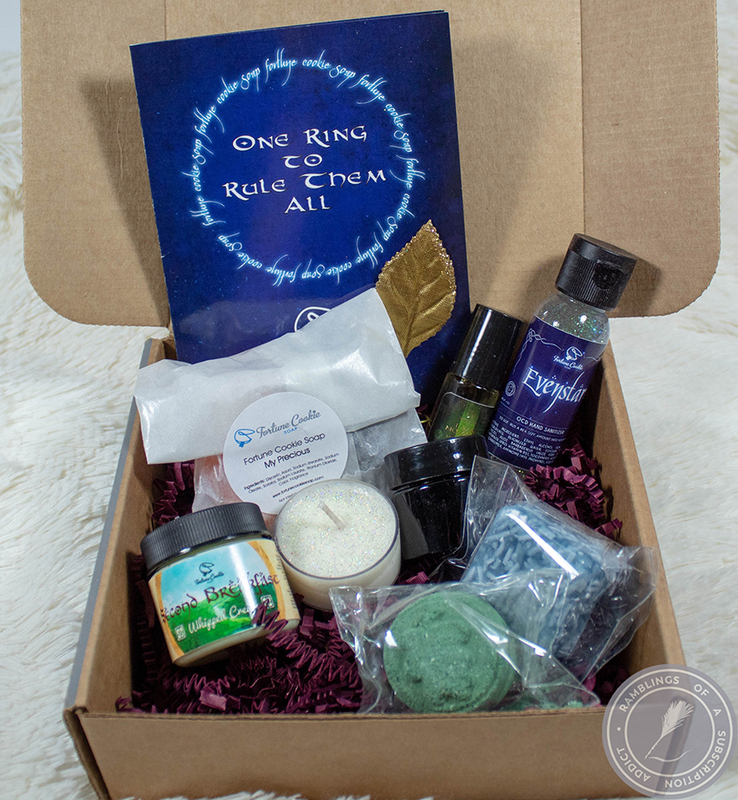 This box is available for a few more days, so make sure to grab it before the end of the month!